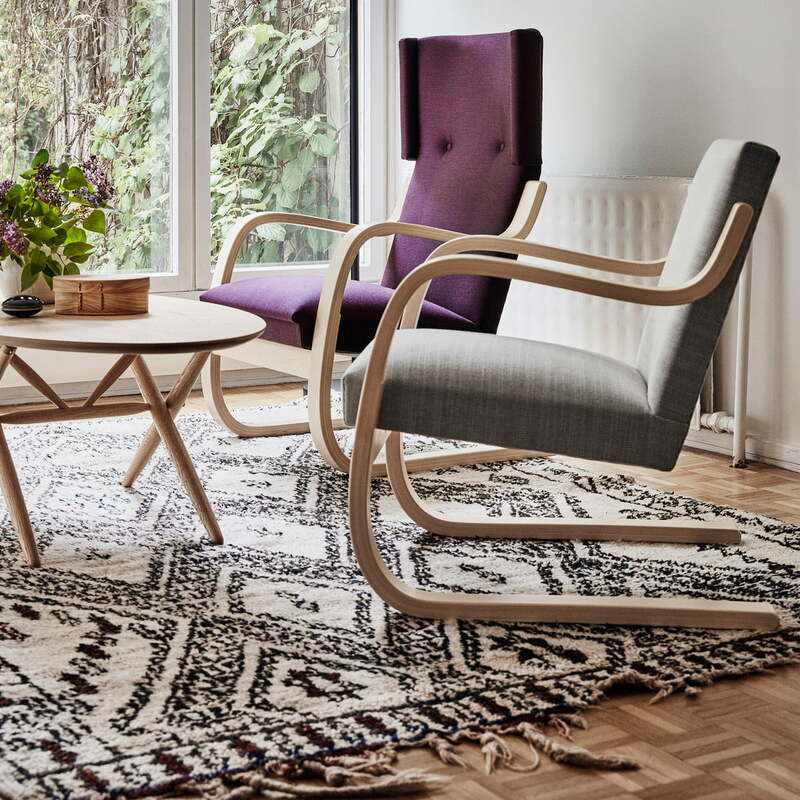 The 402 armchair is a masterpiece of modern furniture design that Alvar Aalto first presented at the Milan Triennale in 1933. A characteristic feature of the armchair is its curved cantilever frame made of wood, which has been shaped using a special bentwood process. The free-swinging shape allows for a light rocking motion which, together with the soft foam padding including springs and armrests, ensures incomparable comfort. 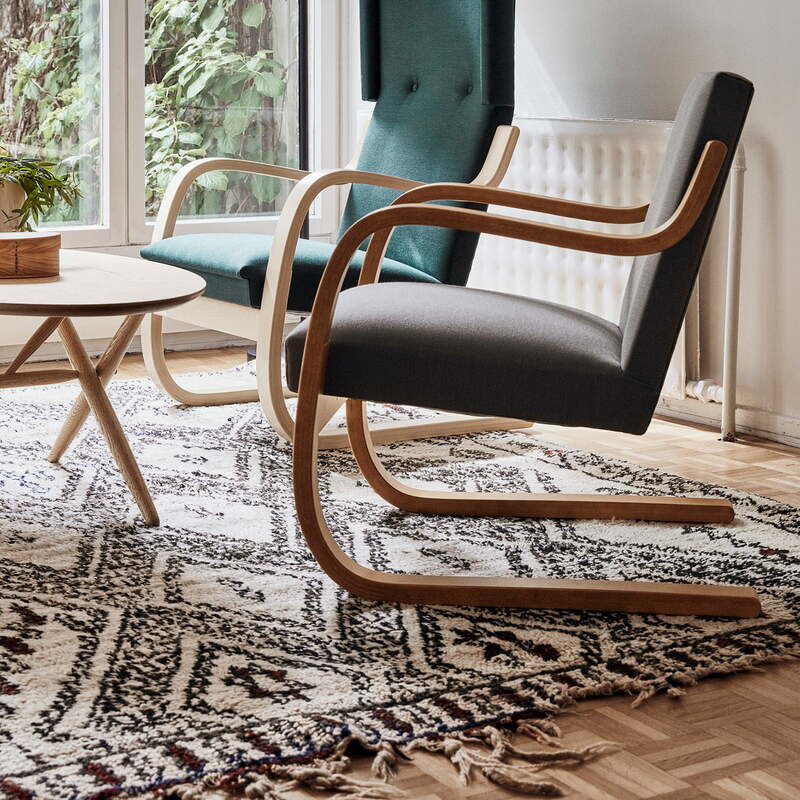 Standing individually as a reading armchair or integrated into an existing seating corner, the 402 armchair with its timeless design, which blends easily into modern and classic furnishings, is a real eye-catcher. 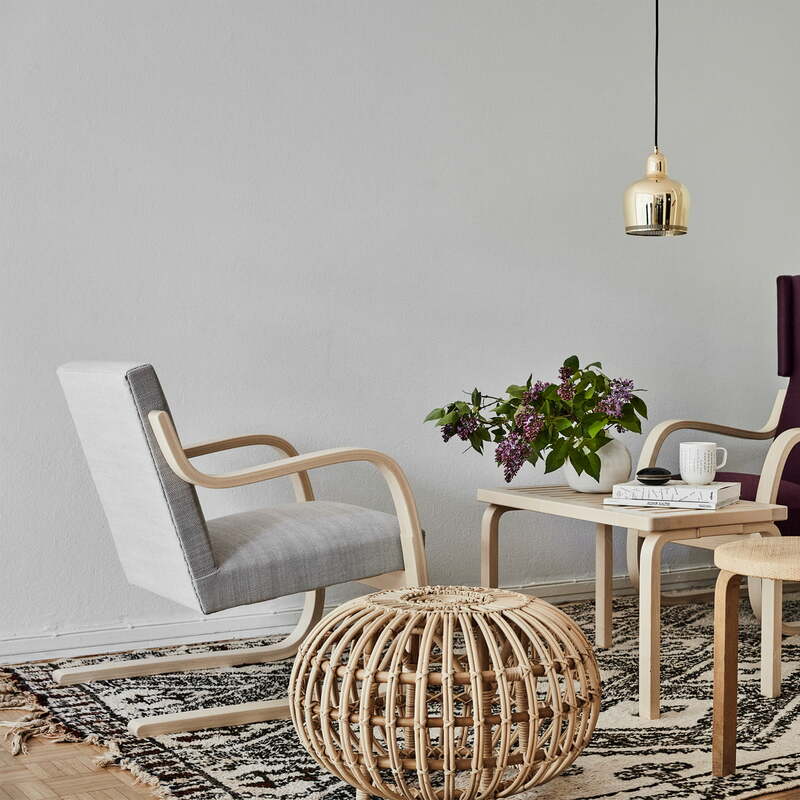 The 402 armchair from the Finnish manufacturer Artek is available in various versions, with a choice of different frame wood types and different upholstery fabrics. 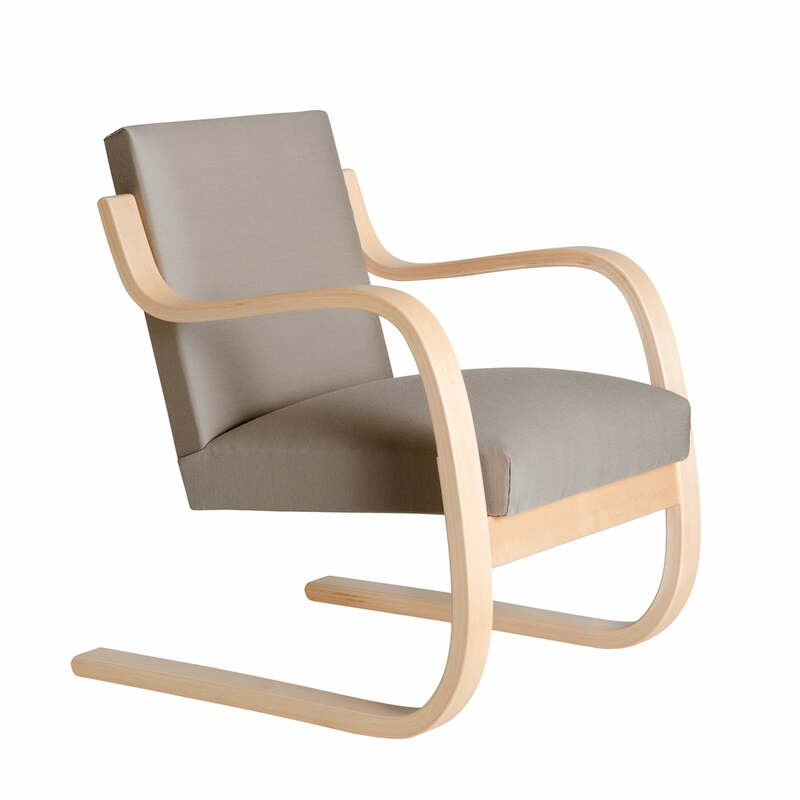 The armchair 402 by Artek with a free-swinging frame and armrests made of birch wood in clear lacquer and covers in light grey (Remix 123) in single product view.